Pursuing Christ. CREATING ART. is written for people who are living in the intersection of the Christian faith, and the creation of art. 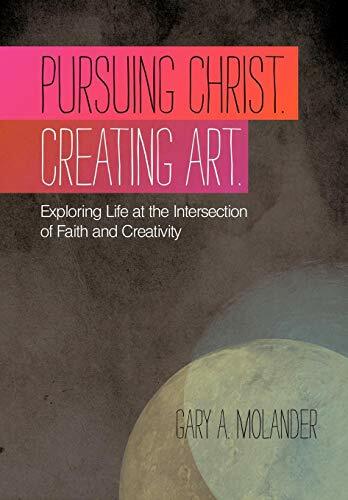 By their nature, artists look at a life of faith differently, and that unique journey warrants an exploration of what it means to be a Christ-follower and an artist. The book intentionally veers away from tips and techniques and formulas, while concentrating on the journey, the mystery, and the heart. I'm honored to offer this book to you. I've taken the deepest part of my artist's heart, given words to its expression, and dumped it into the middle of a Christ-follower's journey. I was a pastor for 17 very full-time years, so that experience plays into everything that I've written in these pages. But I was never a Senior/Preaching Pastor - I was a Creative Arts Pastor. As a result, for years and years, I lived in the constant tension of faith and creativity. And that's where this book is written from, and where it's heading toward. If you're looking for answers and formulas, then this book probably isn't a good choice for you. There are plenty of informational books out there, written by men and women far more knowledgeable about art theory and practice than I. I'm exploring, and trying to help the reader explore, too. Finally, I'm not concerned with this book getting into as many hands as possible. 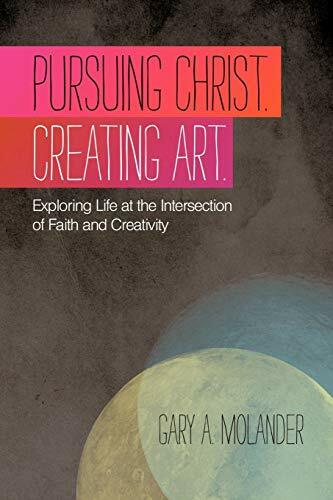 I'm concerned with this book getting into the right hands - the hands of people who are pursuing Christ with their lives, and who are open to creating impacting art from that place. Thanks for taking the time to read this message from me. It's not about the art. It's never been about the art. It's about the God who has called some to be artists, inviting them to create works of beauty which, in turn, invite the world to see the Unseen. Christian men and women who are also artists find themselves walking a journey that is challenging and fulfilling and depressive and joyful and fearful and unknown and wonderful. For many, the very best thing they can do is craft the time and the effort to ask the right questions at this insane intersection. The intersection of faith and creativity. Pursuing Christ and creating art. The book you hold in your hands is for any Christian artist who understands how easy it is to get those verbs turned around. 3. Pursuing Christ. Creating Art. 9. Pursuing Christ. Creating Art.